The Royal Gurkha Rifles (RGR) is an infantry regiment of the British Army. Gurkhas have served the British Crown with distinction for over 200 years and are regarded as some of the best soldiers in the world. The RGR is manned by Nepali soldiers & officers; and British officers, it is this blend of cultures that makes the RGR unique. Gurkhas are known for their professionalism, fighting prowess, humour and humility. The RGR currently consists of two battalions, one based in Brunei and the UK. The Gurkhas were first recruited into the British East Indian Company in 1816 and they distinguished themselves during the Indian Mutiny of 1857. Over 200, 000 Gurkhas volunteered to serve with the British-Indian Army in the World Wars. After the partition of India in 1947, four of the 10 Gurkha regiments (2nd King Edward VII’s Own Gurkha Rifles: The Sirmoor Rifles, 6th Queen Elizabeth’s Own Gurkha Rifles, 7th Duke of Edinburgh’s Own Gurkha Rifles, 10th Princess Mary’s Own Gurkha Rifles) opted to transfer to the British Army and formed the main part of the what is now called the Brigade of Gurkhas. 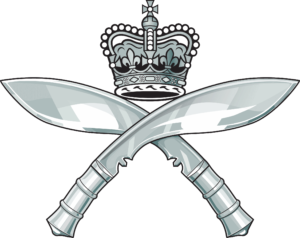 Following the Government’s Options for Change in 1994, the four regiments of Gurkha Rifles were amalgamated to form a single regiment, The Royal Gurkha Rifles. The RGR consists of two Light Role Infantry Battalions (1 and 2 RGR). They alternate between Brunei and the UK every three years. The Brunei based battalion specialises in Jungle Warfare and the UK based battalion is part of 16 Air Assault Brigade. Gurkhas have been in Brunei, since 1962, when they were moved from Singapore to quell a revolt against Sultan Omar Ali Saifuddien III in December of that year. The battalion is based in the town of Seria, at the invitation of HM The Sultan of Brunei, and specialises in Jungle Warfare. It is part of the British Army’s continued presence in South East Asia. Every year, part of the battalion deploys on overseas exercises to Australasia. The RGR joined 16 Air Assault Brigade in 2015 to become part of the Army’s rapid response airborne formation. The Gurkhas have a long airborne tradition; from the early operations of 153 and 154 (Gurkha) Parachute Brigades in WW2, to the Gurkha Independent Parachute Company in 1963, their part in the 5 Airborne Brigade in the 80s and 90s and their role within today’s 16 Air Assault Brigade. The battalion is based in Folkestone, Kent and can be deployed anywhere in the world on short notice. During the Indian Mutiny in 1857-8 the Sirmoor Battalion (which later became the 2nd KEO Goorkhas, and latterly the Royal Gurkha Rifles) remained loyal to the British Crown. The Battalion, together with the Guides and the 60th Rifles, held the key position on the outskirts of Delhi known as Hindu Rao’s House for over three months of constant attack. During this period the 2nd Goorkhas suffered 327 casualties (including 8 of their 9 British Officers) out of a total strength of 490. Following the conclusion of the mutiny, the 2nd Goorkhas were designated as a Rifle Regiment as a mark of the bond that had been created with the 60th Rifles. This explains the dark green uniforms, the rapid marching pace, and the title of Rifleman given to Gurkha soldiers. In addition, Queen Victoria directed that the Battalion be awarded a special truncheon to replace the Regimental Colours that could no longer be carried by a Rifle Regiment. The ornate Gurkha Truncheon (ceremonial staff), which is the Gurkha Rifles equivalent of a Regimental Colour (battle flag) was given to the Rifles by order of Queen Victoria in 1863 during a viewing of the truncheon in the Bow room at Buckingham Palace in London. 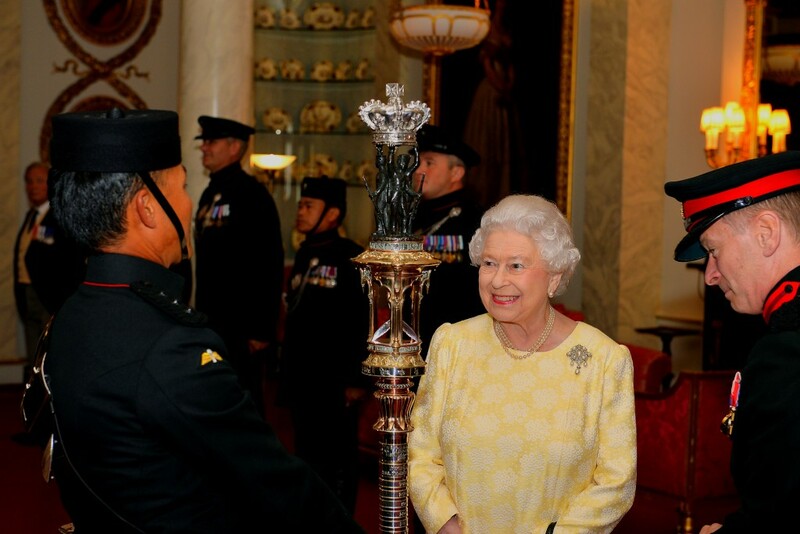 The Queen’s Truncheon is still in service today, proudly guarded by the Royal Gurkha Rifles. There is an inscribed band around the staff of the truncheon to commemorate each occasion that it has subsequently been presented to the sovereign. 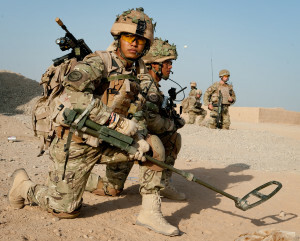 The 2nd Battalion Royal Gurka Rifles just recently returned from Afghanistan support Op TORAL. They received their medals from HRH Prince Charles and HRH Prince Harry on 14th March 2016 inside the ballroom at Buckingham Palace.